Sit everyone in a circle and bring out a cuddly stuffed animal. Share a short story that has to do with this toy (if you have one, of course). Pass it around and have everyone hug it. Why do you think people like to have stuffed animals around? They’re cute; they feel good to hold; they’re fun to play with. How do you feel when you hug an animal like this? It feels warm; cuddly; good. 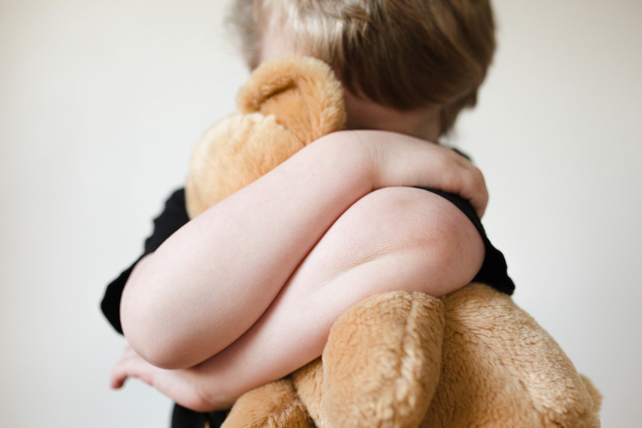 Do you ever hug a stuffed animal when you’re scared, lonely or sad? How is the feeling you get from hugging a stuffed animal like how it feels to trust Jesus when you’re scared or sad? Jesus comforts me; I feel happy when I remember that He loves me. How is trusting Jesus different from hugging a stuffed animal? Jesus is really alive and has power to help me. Just before Jesus went back to heaven, He made a promise to His followers. Let’s look at that promise. Give each person a copy of the “Safe in God’s Arms” template. Point out the Bible verse—Matthew 28:20. This is the promise I’m talking about. Let’s read it together.